Born in Jackson, NJ, Al started playing competitive golf at age 8. Al played for Christian Brothers Academy High School, winning several individual and team championships. He was part of the 1999 National Championship team at Central Alabama Community College, and finished his college golf career at Florida State University. Al played five seasons on the South Florida mini tour circuit and then was an Assistant Golf Professional at Knob Hill Golf Club where he eventually won the New Jersey Assistants Champion in 2004. 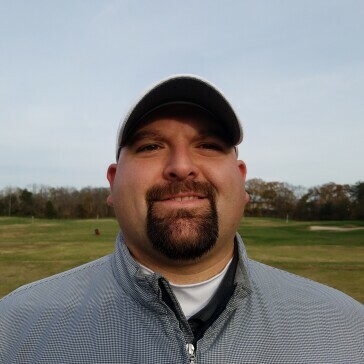 In 2014, he joined the coaching staff at Twin Brook Golf and Learning Center in Tinton Falls, NJ, and took pleasure in sharing his golf knowledge and experience with others and found a passion in teaching players of all skill levels. Al has been a fantastic addition to the Broad Run Learning Center, bringing with him a vast knowledge of golf, and a passion in teaching players of all skill levels and abilities.